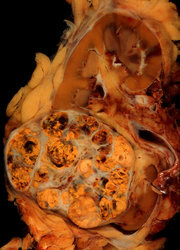 Known risk factors for renal cell carcinoma include cigarette smoking, history of hypertension and use of diuretics, occupational exposure to hydrocarbons, and some aspects of female reproductive history. Obesity has been associated with increased risk, especially in women. Recent studies in Denmark have indicated that the risk of renal cell carcinoma is higher among persons of low socioeconomic status. It is not dear, however, whether the effects of obesity and socioeconomic status are mediated by diet. 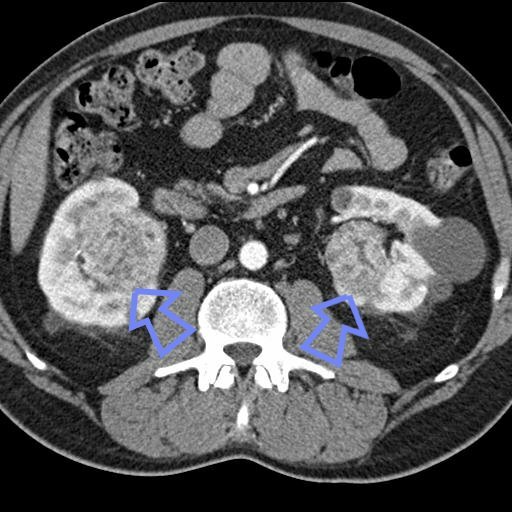 A case-control study of renal cell carcinoma was conducted in Denmark. A total of 351 cases and 340 controls were included; dietary information was obtained from a self-administered food frequency questionnaire and confirmed in an interview. The risk of renal cell carcinoma was positively associated with total energy intake. In women, carbohydrate intake and consumption of high-fat dairy products butter, whole milk) were associated with increased risk. The effects of dietary factors were stronger in women than in men. Vegetables and fruit, which have been associated with reduced risks of cancer at other body sites, were not protective against renal cell carcinoma in this study. These findings indicate that dietary factors, especially high energy intake and consumption of dairy fats, may play a role in renal cell carcinoma. However, the dietary factors identified in this study do not explain the previously observed effects of obesity and socioeconomic status. A Mellemgaard, JK McLaughlin, K Overvad, and JH Olsen, Dietary Risk Factors for Renal Cell Carcinoma in Denmark, European J Cancer32A(4):673-682 (Apr1996) [Correspondence: A Mellemgaard, Danish Cancer Society, Division of Cancer Epidemiology, Strandboulevarden 49, DK-2100 Copenhagen, Denmark!